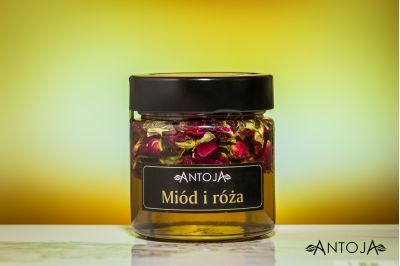 Antoja is a family business created out of passion for Polish honey and belief that our honey blends are not only tasty, but also healthy. Antoja honeys combine flavors from different regions of the world. 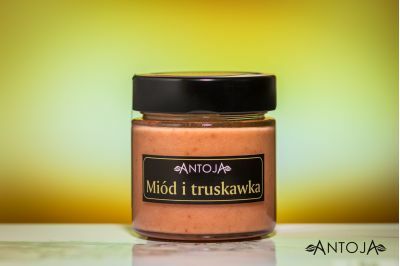 Our fusion of Polish honey with Mediterranean fruits or Near East spices ensures unique taste. What's more, in our offer everyone will find something for himself. Fruit honey creams are most popular amongst children. The consistency and the smoothness of creamed honey is a great addition to toast, waffles and pancakes so beloved by our little ones. Oriental spices and fruits dipped into natural honey are providing even most demanding palates with unique taste impressions. For those looking for natural remedies, we have enriched our honey for healing, anti-inflammatory, or enhancing ingredients such as cardamom, ginger, and goji berries. Our honey and honey blends are created entirely in Poland with additional flavors sourced worldwide. Always containing only natural ingredients without preservatives. Slow and natural production cycle perpetuates the nutritional value and health qualities of honey. 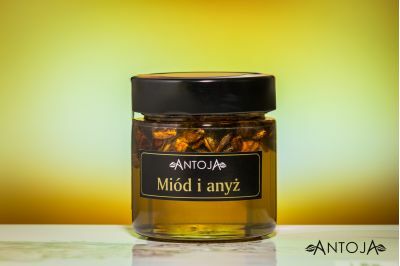 Antoja Honey is a feast for all the senses; moreover, the elegant, esthetic and original package adds value to extraordinary flavor and aroma. The production process follows GHP – Good Hygiene Practices and GMP – Good Manufacturing Practices. We operate under HAACP systems. We are a family company, which enables us to keep a relatively simple structure of administration and management that regularly monitor the production process and ensure the high quality of our products.